I was an early adopter of Twitter as a means of connecting with other educators, thanks in large part to Will Richardson and Sheryl Nussbaum-Beach. Little did I know how much it would change my life! I loved the energy and collaboration that was happening there, as educators around the world found each other and built a network. Back in 2009, there were relatively few of us making these connections, and friendships quickly developed. For the most part, I had no idea where people lived; I just knew that they were all passionate about the work that they were doing for kids. The conversations and sharing was addictive! One night, while I was following my Twitter feed, I saw that a number of people that I knew on Twitter were actually together at a coffeehouse in downtown Philadelphia. They had all just been to BarCamp, an unconference for computer programmers and were thinking about creating one for educators. Thanks to the Twitter world, I jumped right in and have never looked back. One moment, following Twitter changed my life! And what happened was magic! Educators are truly amazing people, people who care so much and work so hard for the students that they teach. 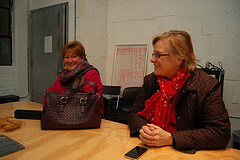 They came and began the conversations, sharing with strangers their ideas and their questions. The session board filled up, and the collaboration began. People tweeted about it and around the country and the world; people began to follow #edcamp! The energy in that place gave birth to a movement that has grown in under five years from a single, initial Edcamp to over 600 events around the world. 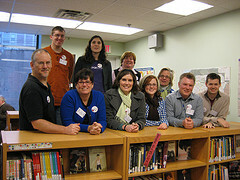 Edcamps became so powerful because they recognize and honor the expertise of teachers. 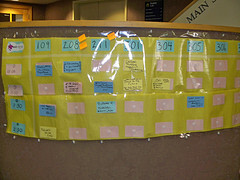 Each Edcamp is organized by educators, for educators. They aren’t professional development based on what someone else says that you need to learn or know, and are truly participant-driven. The sessions continue to be developed on the day of the event, based on the interests and questions of the people who give up their time to learn from and with other educators. There are no Outside Experts; the teachers who show up, working together, are the experts.